Alan J. Goldstein, 48, a criminal defense lawyer in Montgomery and Prince George's counties whose cases ranged from counts of driving while intoxicated to some of the most highly publicized cases of the last decade, died of lung cancer Aug. 1 at George Washington University Hospital. Mr. Goldstein was known in the legal community for a flamboyant and witty courtroom demeanor and a sharp legal mind that won the respect of prosecutors. "He makes the state's attorneys jump through the hoops on DWI cases," a Prince George's public defender once said. He had a self-deprecating style that included the wearing of Mickey Mouse monograms on his shirts and joking about his height ("too short"), his weight ("too heavy") and his hair ("too little"), and he managed to get away with trial shenanigans that ordinarily would have triggered a stern judicial reprimand. Once, he won permission from a presiding judge to pose a final question to a witness, a clothing store manager who had been robbed. He asked: "Do you have anything in size 42 short?" Last May, Mr. Goldstein represented Gerald W. Eiland, one of two defendants accused in the shooting death of James S. "Jay" Bias III. Bias was the younger brother of Len Bias, the University of Maryland basketball star who died of a cocaine overdose in 1986. Eiland was convicted of second-degree murder and sentenced to 30 years in prison. The case is on appeal. His other clients included Prince George's police Cpl. Steven Kerpleman, who faced three misdemeanor charges after the 1989 death of Gregory Habib during an arrest by county police, and Erica Mendell Daye, who was charged with decapitating her 5-year-old son in 1986. The charges against Kerpleman were dropped, and Daye was sentenced to 20 years in prison after pleading guilty. But his legal specialty was cases of driving while intoxicated. He almost always went to trial, and he won acquittals most of the time. A resident of Brookeville, Mr. Goldstein was born in Washington. He graduated from Northwood High School in Montgomery County and from the University of Virginia and its law school. 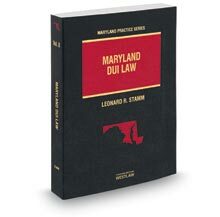 He spent his professional life practicing law in Montgomery and Prince George's counties. Most recently, he was in partnership with Leonard Stamm in Greenbelt. Earlier, he had been a partner in the Greenbelt firm of Horowitz, Oneglia, Goldstein, Foran & Parker. He was an adjunct professor at Georgetown University Law Center and had conducted seminars on criminal defense and on cases of driving while intoxicated. In 1989, Mr. Goldstein won the James R. White Memorial Award as Outstanding Criminal Defense Lawyer from the Maryland Criminal Defense Attorneys Association. Mr. Goldstein was separated from his wife, Lois Goldstein. Survivors include his mother, Sarah Goldstein of Silver Spring, and a brother, Marc Goldstein of Gaithersburg.